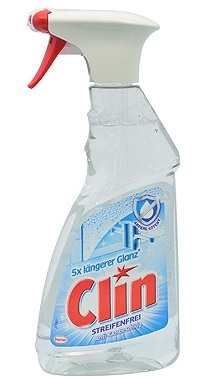 RPC Zeller Plastik has developed trigger pumps for a section of Henkel’s laundry and home care range. Henkel owns brands such as Bref, Biff, Persil, Sidolin and Soft Scrub. It produces products in various sectors such as laundry and home care, beauty care and adhesive technology. Henkel has partnered with RPC Zeller to develop and manufacture Booster 2.0 for a portion of its trigger sprayer products. Booster 2.0 is an eco-friendly plastic trigger pump, which features full automatic assembly with maximum in-line quality control. Designed as an alternative to the majority of trigger sprayers, Booster 2.0 can be used in different applications such as bleach, hard surface, window and toilet cleaning, and air care. According to RPC, Booster 2.0 includes pre-compression system that can effectively dispense the output at high velocity. Booster 2.0, which was designed for easy and comfortable use, provides better spray and foam patterns with consistent droplet size. Pre-compression technology is said to keep the trigger sprayer perpetually primed, helping to prevent leakage when the nozzle is open. With non-drip dispensing, customised and precise spray control mechanism, Booster 2.0 is available in both spray and foam options, which can be switched through an advanced visor. In addition, it is provided with an optional ISO-certified child-safe functionality in the pipe foamer nozzle and closure. RPC is also providing Booster S as a non-branded trigger sprayer, which features different design with same performance. Image: RPC and Henkel have designed a next-generation trigger pump for various aundry and home care products. Photo: courtesy of RPC Group Plc.